An excerpt from Kota Neelima's 'Widows of Vidarbha', which tells the stories of the widows of farmers who committed suicide. There was no permanence about the house that farmer Ganesh Rathod had called home. The mud-and-thatch structure was built with the knowledge that it could dissolve in the next rain, and that the loosely repaired smooth walls could crack by the next summer. The thatched roof was too sparse, and the house too small to accommodate a family of five – Ganesh’s widow Vandana and their four children. The repairs to the house seemed to be just another temporary way of holding back the inevitable. It was neither protest nor rebellion; the house did not stand with a determined will to survive or to battle against destiny. It was surrender, not immediate but the kind that slowly drained life from the living; almost like the mud that precariously held the structure together and waited to flow away with the monsoons. The roof of the house was low, as if the residents were not expected to stand tall inside its premises. The traditionally built floor was uneven but smooth, and felt cool under bare feet. The dilapidated door was barely shut and all the forces of nature were free to enter, just like every insidious twist of fate. All things permanent had vanished with Ganesh, the post-mortem certified that. The report stated that he was brought dead to the regional hospital of Ner at 1 o’clock in the morning on 23 August 2013 by the police. The post-mortem did not begin until noon the same day. The examination lasted for one hour and fifteen minutes, from 12.15 p.m. to 1.30 p.m. The clothes he wore for the last time were listed in detail, and he was described as moderately built, with no injuries, but with his fists clenched. Pieces of his intestine and stomach, along with their contents, were retained for further chemical examination. Also preserved were a piece of his liver, spleen, lung, and kidney. His body was returned to his family without his heart, which was retained in ‘Bottle No.1’. The examiners also found a tattoo on the right side of chest where his wife’s name, Vandana, was written in Hindi. The examiners could not take that away from Ganesh, and those were the kind of permanent things that ended with him. A picture of Ganesh now hung in the mud house with his name and date of death inscribed, as if made by a studio which had ample experience of framing such memories. He had dark, confident eyes, and sported a fashionable haircut and a red ceremonial tilak on his forehead. Adjoining his picture was a poster of bright roses and a phrase printed on the top right corner: ‘Hope makes life meaningful …’ Next to Ganesh’s photograph, the slogan seemed ironic and impossible to bear. The photograph carried a garland of plastic flowers that would never wilt. Right beside that was a plastic container that held the tooth brushes of the family, which appeared, at first, to be a seemingly strange location for toiletries, on a wall that was almost a shrine for Ganesh. However, it was a way for Vandana to ensure that the children looked at their father’s photograph first thing in the morning. The inscription on the poster now assumed great significance, as if it was a message that the mother wanted the children to believe in and live by. She did not just have to live without Ganesh, she had to deal with problems of survival and also ensure that the future was not lost to despair. She did not want the children to think of escape as an option. There were two smaller photographs on the wall—one of Ganesh with Vandana and one with his younger daughter Tejal. In the first picture, Ganesh was sitting in a chair while Vandana was standing next to him with an arm around his shoulders, the way friends did. It was from another print of the same photograph that his final portrait had been cut out, separated from Vandana, framed, and garlanded. In the second photograph, Tejal was standing next to her father in her blue-and-white school uniform. He wore sunglasses, as if to humour his daughter’s whim. There were no photographs of his other daughter Sonu, or of his sons Rohit and Vikram. In 2014, when I first met them, Sonu was 16 years old, Rohit was 14, Tejal, 13, and the youngest, Vikram, was 10. Vandana was 32 years old, a frail woman with dark, introspective eyes that never smiled. 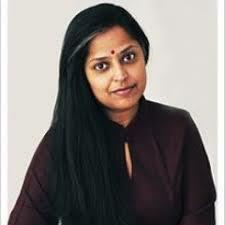 In her statement to the police and the administration, she described the day that Ganesh killed himself. On the morning of 22 August 2013, Ganesh had told her that he had to spray chemical pesticides in the field, and left home at 10 a.m. He returned around 7 p.m. and complained of extreme dizziness. As his condition worsened, Vandana asked a neighbour for help, and rushed him to the hospital in Ner where he was declared brought dead. She stated that her husband had been anxious about the outstanding loan amount and had increasingly become despondent. She felt that this might have been a reason why he had committed suicide. Her mother-in-law, Yashodhabai, who was also at home at that time, said in her statement that Ganesh had been very quiet in the days preceding his death. His inability to repay the loan had made him pessimistic and taciturn. Ramesh Rathod, the neighbour who helped take Ganesh to the hospital, revealed in his statement the conversation they had regarding the loan. On 21 August 2013, Ganesh had complained to Ramesh about the low productivity of the field, and expressed the fear that he would not be able to repay the loan that year. He had also told Ramesh of his plans to spray pesticide in his field on the following day—the same pesticide he had consumed to kill himself. By all the official accounts, crops had been affected in the tehsil from 2010 to 2013 owing to bad weather. In his report, the deputy sarpanch of Ajanti had said that the repeated failure of the crops and the pressure to repay the loan might have left Ganesh hopeless and compelled him to commit suicide. Since that day in 2013, Vandana has had to deal with all the problems that killed Ganesh, and deal with them alone. Records showed that they had a farmland of 13.59 acres, of which 2.98 acres was barren. Ganesh had taken loans from a lending society in 2009 and 2010, which, together amounted to Rs 41,706 as of 31 March 2013. Based on the statements of the family, the same report concluded that failed crops along with debt burden might have caused the suicide. At the top of this important document was the word ‘patra’, written in Hindi and underlined twice. That one word, which meant ‘eligible’, was written by a government employee to certify that Ganesh had indeed died due to debt burden and failure of crops. In other words, by dying for reasons that could be certified as ‘appropriate’, he became eligible for state compensation. The acceptance of his death by the system brought a semblance of permanence to his life. It stood like a tentative footprint amid the persistent erosion of everything else that belonged to the family. After Ganesh’s suicide, Vandana had rented out the land to another farmer at Rs 9,000 per year, which alleviated the financial burden per month only by Rs 750. Far from being a good bargain, it was a helpless compromise. As was the fact that a village road ran through their field and occupied almost two acres of the land, for which there had never been any compensation to a family that could not afford such a loss. Vandana was an intelligent woman who knew that these matters had to be resolved, but she neither had the time nor the assistance to pursue them. Vandana was trained, like most girls in India are, to be a homemaker. That came with the handicap of not just financial dependence, but also a dependence on others for the general understanding of the outside world. Ganesh had managed all matters relating to loans, crops, and agricultural land. After his death, Vandana was plunged into these affairs about which she had no prior experience or information. Among the things she had to rapidly learn was how to fend for herself. ‘There is no one left in the family to do farming,’ Vandana said simply. ‘My relatives helped us in the initial days after my husband’s death. But they have their own families to look after, I understand that.’ This understanding, however, could not have come without a hard and painful realization of her situation. She seemed indifferent to her fate; as if she knew all the choices were already made for her and the decisions already taken. ‘I work as labour for daily wages, and earn about Rs 70 to Rs 100 per day. The work is sporadic and not available round the year. But I earn whatever I can during the sowing season, and later, during the harvest,’ she said. All the money earned was already earmarked for various expenditures like education, health, and other costs of living. However, the money always fell short. Vandana explained the problem meticulously. ‘My yearly expenditure is Rs 30,000 to Rs 40,000. I cannot get that money from either the rent on the field or from my work as labour. So I borrow money, sometimes from my parents and my brother.’ She was unhappy about this, and seemed to share the same pride that had made Ganesh repay other pending loans with his hard work alone, without expectations of help from anyone. This was despite the fact that crops regularly failed, as if testing his confidence in his efforts and in his destiny. 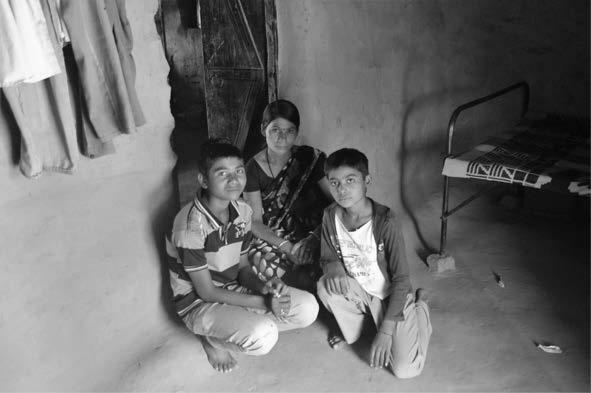 The children continued going to school, and Ganesh’s mother stayed at home due to ill health. Vandana toiled as farm labour to address the requirements of four growing children, bills for their education, health, transportation, and basic facilities. These were paid in slow, gruelling instalments, leaving no money for unforeseen expenditures that inevitably forced such families to borrow from private moneylenders. Besides the bank loan, Ganesh had also taken a private loan for agriculture of up to Rs 60,000, according to Vandana. But the cotton crop had stayed undependable, pro-ducing a yield of less than 10 quintals for the total land. Through 2012 and 2013, Ganesh had cultivated soybean, jowar, and tur, but without sources of irrigation, the yield was so low that it was almost a wasted effort. Despite the economic hardships he faced, a private loan taken four years ago had to be repaid by Ganesh at the rate of 2.5 per cent per month. The questions reminded her of the time when Ganesh had shielded her from such worrying details. Her smile lit up the little, dusty room, but it was short-lived. While we talked, the children stood leaning against the mud walls, their eyes angry and sad as Vandana articulated her lack of choices. Rohit had a sensitive face, much like his father. ‘I will never do agriculture,’ he said calmly but firmly. Despite the lack of facilities and basic requirements, he scored high marks in his Class 9 examinations. He said, ‘I want to be a policeman. I am preparing by studying hard and I will sit for the examination.’ There was a spirited defence of the profession of law enforce-ment, and also a certain belief in the stature it could provide. His younger brother Vikram was in Class 6 in 2015. ‘I want to be the headmaster of my own school,’ he said, after having clearly spent his day playing in the mud outside. While not providing any further explanation for his very specific desire, he keenly observed how the notes were being taken throughout the interview and cameras were being focused. The children knew their education was the key expenditure of the family and that Vandana struggled to help them. There was guilt on Rohit’s sharp face as he said that there were medical bills to be paid, as he had complained of stomach pain. His playful smile was replaced by something serious, something like determination, and something permanent. These were not destiny’s chosen children, but like their father, they wanted to be stronger than their present circumstances. Theirs were not indulgent dreams, but necessary ones. The state played no role in the dreams of Vandana’s children; if anything, it had rather curtailed them. According to the information provided by the sub-divisional officer (SDO) to the administration and other documents from the tehsildar, Ganesh was not given a loan waiver. This was despite the fact that his crop had failed for three years and he had an unpaid bank loan on record. Though he had been ineligible for the debt waiver, he was eligible for compensation for his suicide. The administration always found a way to survive such oversights and move on to the next promotion, the next election, the next budget. It was as if the administration knew farmers like Ganesh were weaker than the state. Perhaps he had placed too much faith in the system, in agriculture, in god, in government, all of which proved to be more permanent than his own life. It would be a mistake to think that Vandana and her children did not remember or were helpless about what killed Ganesh. It would be a mistake to consider his case compensated, stack the file away somewhere in the official corridors, and then move on to investigate the next suicide in Yavatmal. My next meeting with Vandana and her children took place on an August evening in 2016. She and the children had returned from working on the fields in Ajanti village. Their home was dark, without electricity. She offered me some of the drinking water she brought in steel containers from the village tap; there was no direct water supply to their house, just as there was no drainage. The household seemed to be facing tougher times than it had seen in 2014 and 2015. They were tired from working in the sweltering heat of the day. Sonu had washed her hair for relief but it did not seem to help, as her young face was still fatigued. She was a trained beautician and now awaited an opportunity for employment or business in the same field. Sonu recalled how her father was harassed for repayment of loans by the banks and moneylenders. ‘He was crushed by repeated home visits from people asking for the money,’ she said. The pending loan had been restructured but remained unpaid and as the banks did not lend again to defaulters, Vandana had to borrow Rs 70,000 from a private moneylender. The only way she could repay the loan was by working as farm labour for daily wages along with her daughter. They got Rs 100 each day in the monsoons, and the rains had been kind in 2016. Besides this, Vandana received a monthly interest of Rs 500 from the compensation amount deposited in the bank. The difficult financial situation was clear to all the children and there was a collective effort to add to the income of the family. 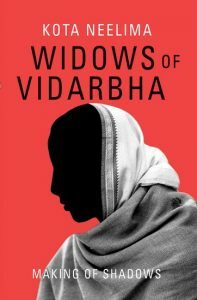 Excerpted with permission from Widows of Vidarbha: Making of Shadows by Kota Neelima, Oxford University Press, 2018.